The innovative Platinum CLS-2 kits are turnkey lighting Tri-sets based on LED technology. The Platinum CLS-2 sets are ideal for musicians, DJs and bands. By using 3 watt tri-LEDs very high light output and color mixtures can be achieved without the typical RGB color shadows. The extremely compact dimensions, the very low power consumption and virtually no existing heat generation make the CLS-2 Tri-LED lighting system the ideal tool for musicians and DJs. All 4 LED headlights are independently controllable via DMX. 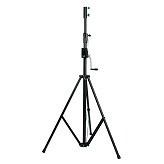 Supplied with light stand with TV pin and cable! DMX controller by appointment. 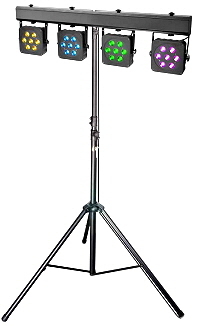 1 x MultiPAR TRI-LED system (sound-to-light), 1x light tripod, connection cable and transport bag • also available with DMX controller and wireless DMX receiver. 1 x Showtec QFX system, 1 x light stand, 1 x remote control, connection cable and transport bag. The Showtec Par 18 MKII is a powerful LED headlamp with DMX control. It is equipped with eighteen 3W 3-in-1 RGB LEDs, which in combination with specially designed optics guarantee perfect performance in all situations. 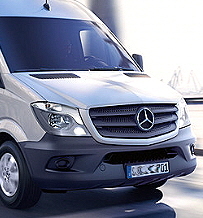 Thanks to its compact design, it saves a lot of space during transport as well as during use. The Showtec Par 18 MKIII is completely digitally controllable and can be controlled via DMX as well as operated in an automatic mode. The headlight can still be operated in master / slave mode. The sturdy aluminum housing and the multifunctional application options make this LED floodlight an atmospheric lighting all-rounder for all Majorca events - from wedding to event. Up to 15 devices can be interconnected. 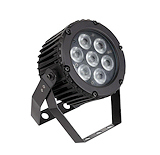 Due to the compact aluminum construction, this device is particularly suitable for use in rooms with little space or as truss interior lighting. Can also be used as Floorspot with the double mounting bracket. The Compact Par 7 Tri is a compact but powerful parabolic with a unique design (Slime design). It provides a complete 3-in-1 RGB color mixing with bold colors and a perfect mix. Featuring a compact design, it saves both during transport and when using a lot of space. 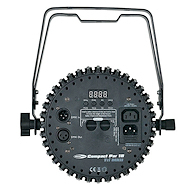 The Compact Par 7 is fully digitally controlled and can be both controlled by DMX-be operated as beat of the music. The fixture can also be seen in master / slave mode. The solid aluminum enclosure and the multifunctional uses make this LED headlamp for atmospheric lighting rounder for all Mallorca events - from weddings to event. They can be controlled via DMX and the strobe effect ensure the creative lighting designer free design options. We offer different variants including DMX controllers for rent. The Showtec Par 7 PRO has a special die-cast housing with excellent heat conductivity of the surface. This has made it possible to further downsize the housing and to obtain a better cooling. In addition, the already very popular technical characteristics of the Showtec Par 7 TRI were maintained. It also provides a full 3-in-1 RGB color mixing with strong colors and a perfect mix. Due to the low angle of radiation, the Showtec PAR 7 PRO is also ideal as Trusswarmer. The Showtec Club-Par 18 RGB is a compact but powerful parabolic spotlight with a unique design (slim design).It delivers a full RGB color mix with bold colors.Thanks to its compact design, it saves a lot of space during transport as well as during use.The fire-retardant plastic housing is compact and lightweight and is equipped with a double metal bracket.The Showtec Club-Par is ideal for ambient lighting (Floorspots), mobile DJs, live musicians and entertainers. 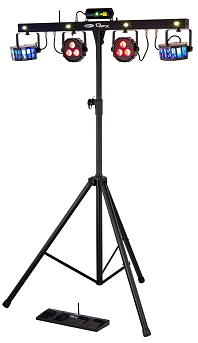 Beam angle: 15 degrees • Weight: 1.4 kg • Dimensions: 288 x 270 x 113 mm • LED: 18 x 1 Watt RGB • DMX 512 3/6 channels. Powerful LED bar Despite its human dimensions, the "Light Bar 8" with its 240 LEDs is very bright. The most impressive this is shown in the color fading and strobing. 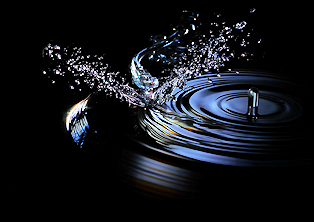 The effects used as direct audience illumination, they work best. The "Light Bar 8" is ideal for bands, stages, DJ and entertainer and is also the solution when it comes to effective decorative wall or ceiling lighting. The possibilities are endless! The VARYTEC BAT.PAR 3 with 3 x 8 W RGBW LEDs is a rechargeable BAT-LITES battery-powered LED headlamp from VARYTEC that focuses entirely on uncomplicated mobile use. This is made possible by the double, redundant battery holder of all BAT.LITES, which enables convenient battery replacement during operation. Every BAT.PAR 3 has a detailed display of the state of charge. In addition to the 2 x 2500 mAh batteries, the package also includes a charging cable for mains operation. In addition to the DMX512 control as well as the automatic and sound-to-light modes, the Varytec BAT.PAR 3 can also be comfortably operated remotely with the supplied infrared remote control. 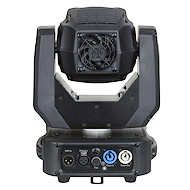 The Showtec Phantom 65 Spot is a compact, multifunctional moving light designed specifically for use on small to medium-sized stages by DJs and entertainers. It is the ultimate successor to the Phantom Spot 50 and in addition to its stylish exterior, it offers a variety of spectacular features. Full 65 watt white LED light output, 1 glass gobo + 6 metal gobos, with gobo flow and shake, 8 dichroic filters + white, rainbow flow effects, a 3-faceted prism and a great new look with adjustable manual Focus is standard on board. It's hard to believe that this compact head includes all these features! 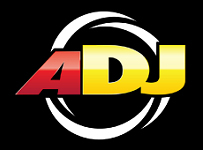 The American DJ Spherion Tri LED is a classic colorful mirror ball effect in a high power version. With around 15 watts of power Led Spherion Tri LED projected by the quality of a total of 116 strong lenses different colored rays. The choice of color by DMX or on the products of the UC3 Series. In the sound-to-light or stand alone mode (without controller) calls the Spherion Tri LED from different built-in programs. By Master-slave function allows multiple devices to be connected together in any mode and synchronizes. The removable bracket, the Spherion TRI also be placed on the floor or table, or be hung on the ceiling or on a cross. 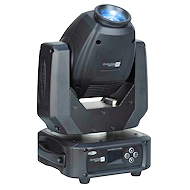 The Cyclone 4 is a compact dynamic light effect with a big coverage on the dance floor. It has a 4-in-1 10W RGBW LED light source and creates laser-sharp beams by 8 optimized lenses. The Cyclone 4 is equipped with IMC, Intelligent Music Control, this is a special sound-to-light module that reacts to your music like a real light-jockey. 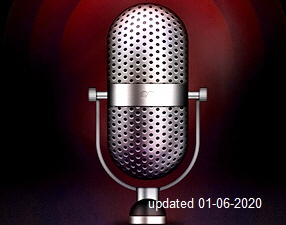 If you are playing easy-listening music, nice slow programs will be selected. If you are playing party-music the IMC will select the uplifting programs and different strobe patterns to entertain your audience. The Cyclone also has built-in programs and If you like to control it yourself you can use the DMX mode. DMX control will give you full control over Operation mode, Colors, Strobe and Motor speed. 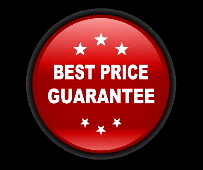 It is very user-friendly due to the menu with 4 digit display. DMX & IEC in- and output with the Master/Slave mode will make this unit easy linkable. 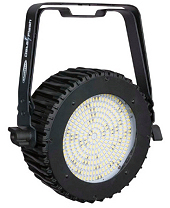 The Showtec Dominator is a 3-in-1 effect spotlights with 8 powerful white flash LEDs, a 200mW RG laser module and a RGBWA LED light effect with an output of 5 x 3 watts. All 3 effects can be played separately or in automatic music clocked mode. It can also be controlled via DMX and thus completely controlled. The RG-laser is equipped with numerous versatile grid and burst effects and has a key lock and a remote emergency stop button. The stroboscope consists of 8 sections with different pre-programmed patterns. All RGBWA colors can be controlled individually or in various combinations preprogrammed. With several Dominators You can create a synchronized light show with the master / slave mode. If you are looking for a solution that combines a strobe light, laser and color LED light effects and also is completely controllable, the Showtec Dominator is what you're looking for. Powerful UV light LED BAR with a length of 100 cm and 18 x 3 watt UV LEDs.The beam angle is 120° and the maximum power consumption is 60 watts with a total weight of 2.3 kg. On the back of the device is an on / off switch. LED strobe with blind function. 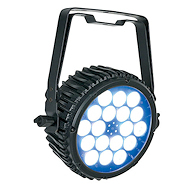 The 120 watt SMD-Strobe features 8 individually addressable segment circuits, which guarantee a particularly versatile and dynamic application for party and stage. The sturdy case with double strap and Powercon connections is also ideal as a stage blinder for bands & live performers in Mallorca. Unlike a standard smoke machine, the powerful Dragon F-350 fazer ejects a light mist into the room, which is spread out by the built-in fan. If you prefer a mist to thick plumes of smoke, and still want your light show to be visible to your audience, then this machine is for you! The Dragon F-350 can produce 57 m3 of mist per minute, which may not seem like much, but the integrated fan ensures this amount is spread evenly through the room. The compact housing makes it easy to suspend or set upright for use. It's very energy-efficient, as it uses only 0.02 litres of fluid per minute at full capacity. The "Showtec Atmos 2000 'reached an enormously powerful output. She has a heat output of 2000 watts and creates 1132m³ fog output per minute. The output distance is up to 15 meters. If the machine has warmed up for the first time after 6 minutes, they can fog a particularly long time, what convinced professional users. Thanks to the 1-channel DMX control the emissions can also be activated by DMX signal and adjusted in strength. Particularly noteworthy is the included wireless remote control, with which you can activate the output unnoticed from a distance. In addition, an interval wired remote control is included. Ejection time interval has and thickness can be adjusted freely over here. The Showtec Dragon 1500 reached an powerful output. She has a heat output of 1500 watts and creates 30000 cu.ft fog output per minute. The output distance is up to 10 meters. If the machine has warmed up for the first time after 6 minutes, they can fog a particularly long time, what convinced professional users. Thanks to the supplied 5 meter long cable remote control, the output can be adjusted in thickness. The built-in tank has a capacity of 2.5 liters of fog fluid. 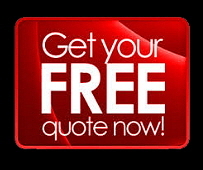 Professional floor plate for mobile use - TÜV-certified! Baseplate for F34 - 4 Truss. The F34 Traverse offers maximum capacity and is characterized by a low transport volume and its lightweight construction. The areas of the F34 Traverse are mainly event technology, exhibition and shop. Comes with cones, pins and Springs. The F32 Traverse offers maximum capacity and is characterized by a low transport volume and its lightweight construction. The F31 Traverse offers maximum capacity and is characterized by a low transport volume and its lightweight construction. 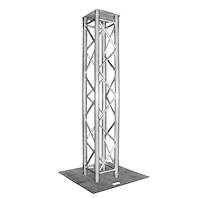 The Showtec Truss-Tower is ideal for attaching moving heads, lighting effects, video surveillance and much more. various connectors and locking pins. Upon request, it can also be equipped with Trusscover in black or white. 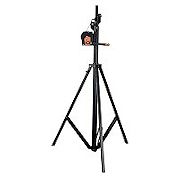 Professional Wind-Up Stand with a maximum load capacity of 80 kg and a lifting height up to 4 m.
The tripod is ideal as a truss lift in conjunction with our truss adapters. Grounds for leveling the 3-leg tripod has an adjustable foot. Available with TV pin adapter or 35 mm tube. Professional Wind-Up Stand with a maximum load capacity of 80 kg and a lift height of 3.80 m. When using Travers adapters etc. about 4 m height are achieved. Here, a gear system is used which ensures maximum safety and dispensed with entirely steel cables! The tripod is suitable both as truss lift in conjunction with our trusses adapters, as well as for headlight systems such as our MultiPAR etc. Optionally with TV spigot adapter or 35 mm tube. 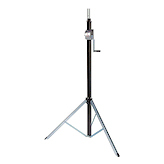 Professional Wind-Up Stand with a maximum load capacity of 25 kg and a lifting height up to 3,10 m.
Stand Mount for 50 mm truss. Adjustable from 200 to 400 mm. Stand Mount for 50 mm 2-point truss. The Showtec Creator Compact can control up to 32 fixtures.Thanks to the innovative and simple menu, it is easy to set up and operate.All settings and shows can be saved via the USB interface.The Creator Compact includes pre-programmed shape effects for pan / tilt circles, RGB rainbow, ray, dimming, wave effects, etc. 10 scenes and 5 pre-programmed shapes can be output simultaneously.The faders are used to output scenes and to set the dimmer channels in the scenes. The Light Operator 48 is suitable for DMX light systems with up to 48 channels. It offers best possible overview of the functions; thus allows simplest programmieren.Sound to light via built-in microphone or via line is also possible. The Light Operator 48 works in three function levels and offers its programmers all possibilities of the PAR and LED light control. You get the light operator with pre-programmed cues for our lighting systems. The Light Operator 24 is suitable for DMX light systems with up to 24 channels. It offers best possible overview of the functions; thus allows simplest programmieren.Sound to light via built-in microphone or via line is also possible. The Light Operator 24 works in three function levels and offers its programmers all possibilities of the PAR and LED light control. The SDC-6 is a small 6-channel DMX controller that can be powered by the included power supply and battery.Ideal for the control of Floorspots and smaller set-ups in Mallorca. The wireless eurolite QuickDMX transmitter / receiver is a reliable and fast, wireless DMX transmission system. No complex setup parameters, only a single button! The Euro Lite QuickDMX can be used both as a transmitter and a receiver. No hassle of cables laid more! The wireless Eurolite QuickDMX receiver is a reliable and fast, wireless DMX transmission system.No complex parameter structure, only a single push of a button!No annoying laying of cables anymore! The DB-1-4 is a universal DMX-512 optical splitter. It distributes the incoming DMX signal, in chain configurations, into four separate outputs with an additional "thru" port. For easy connection features of the DB-1-4 on 3-pin and 5-pin XLR connectors. The light controller has clear LEDs to the DMX signal status of each output and input display. • Power supply: AC 230V ~ 50Hz.